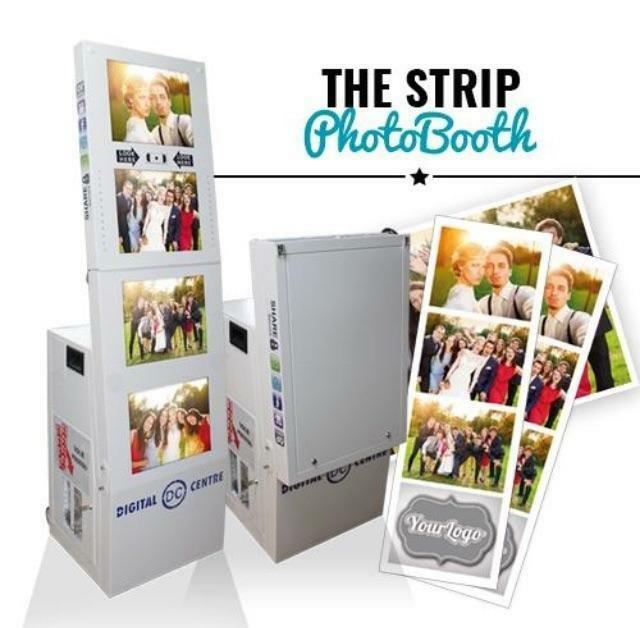 Our state of the art photo booth is a great addition to your special event. We won't cram your guests into a small booth space. The open concept photo booth we use allows as few as one person or a crowd to enjoy your photo booth experience. The unique four 19' LCD screens will scroll pictures of your party goers through-out the event while not in use. 1. An attendant is available to keep the fun going and make sure everything operates smoothly. 2. Color or black and white prints. 3. A backdrop and lighting is provided. A $50 value. 4. Two 2x6 photo strips with 4 pictures. 6. Free delivery to a large local area. 7. We provide a USB flashdrive of all photos taken during your event. Photo frames are available and prices vary. Additional fees for travel and event requirements may vary.